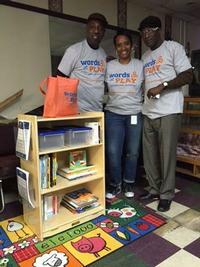 April Showers Bring Words at Play Book Nooks! April has been a busy month for the Words at Play Vocabulary Initiative! Words at Play staff presented to early childhood educators at a regional conference for the Delaware Valley Association for the Education of Young Children (DVAEYC). We also had another successful STEAM (Science, Technology, Engineering, Arts, and Math)-themed Play Party Series at the Cecil B. Moore Library. 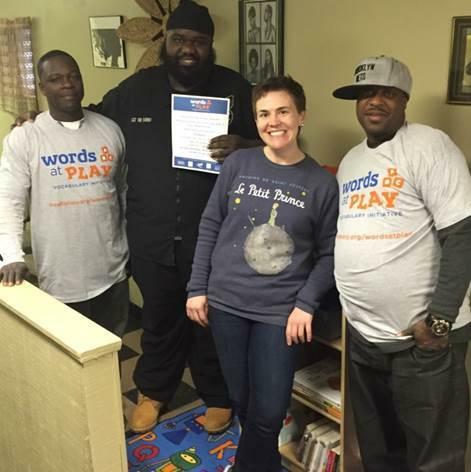 Words at Play also celebrated Earth Day with a scavenger hunt at the North Philly Peace Park! And now, we are thrilled to announce that book nooks were installed in a number of neighborhood barbershops. Go check out our great community partners! 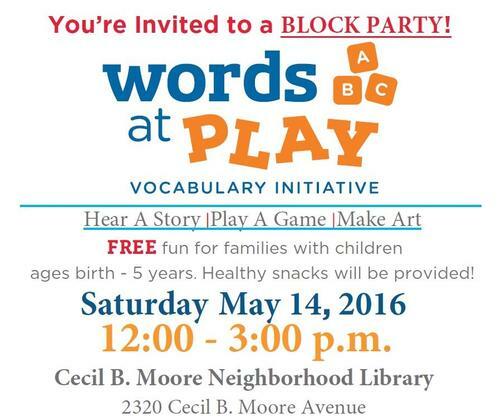 Words at Play is looking forward to being at Penn’s Landing this Saturday, April 30 for the Philadelphia Science Festival Science Carnival and at the Cecil B. Moore Library on May 14 for the Words at Play Block Party. We hope to see you there! 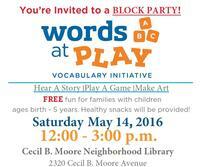 Sly's Barbershop; 2251 North 29th St.
Creative Image; 2737 W. Cecil B. Moore Ave.
Join Words at Play on May 14th for a Block Party! Add a Comment to April Showers Bring Words at Play Book Nooks!